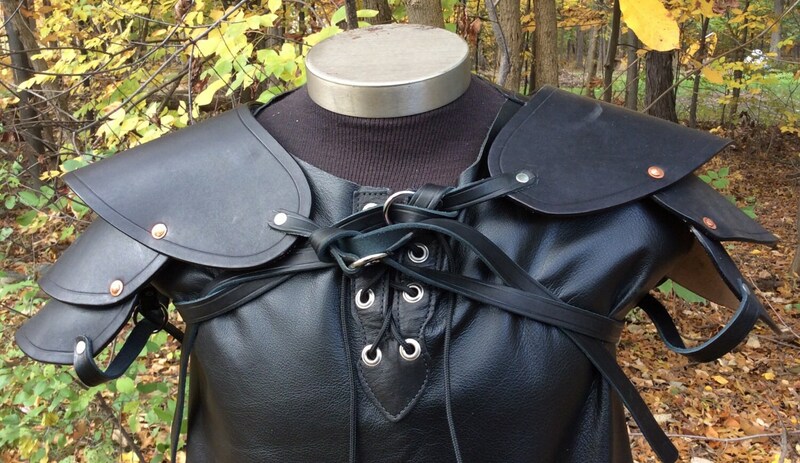 This pair of pauldrons is made of 8-9 oz vegetable tanned leather and are hand dyed. Colors are black with silver hardware or brown with gold hardware. They can be worn individually or as a pair. Copper rivets are used to attach the articulated plates.